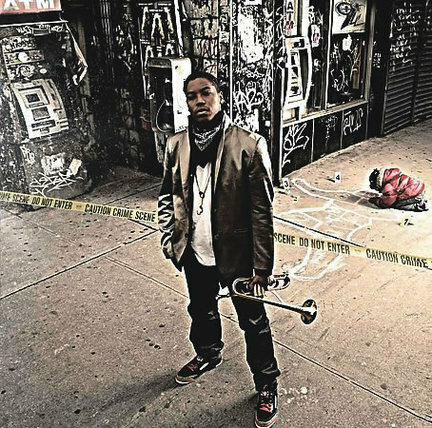 There’s a reason the term “sophomore slump” exists, and trumpeter Christian Scott has hit it. There were high expectations surrounding him, though; his first disc, Rewind That, was an auspicious modern-jazz debut and one of the most enjoyable listens of 2006. His second album, Anthem? Not so much. OK, maybe that’s being generous to a young man with a lot of promise. His new album is actually dreadful. It’s dark and brooding, and while it was informed and inspired by Hurricane Katrina and government’s failure to help the people of Scott’s hometown, that’s no excuse for the plodding dullness and striking lack of imagination that pervade Anthem. The compositions are skeletons that often begin with brief, ominous piano phrases that repeat and repeat. The tunes incorporate the rhythms and devices of rock, soul and hip-hop yet none of the energy. Scott’s own playing-on trumpet, cornet, flugelhorn and slide trumpet-consists mostly of long, unadorned, vibratoless notes. Its most obvious progenitor is the solo work of Cuong Vu, but whereas Vu uses mood to shape his music, Scott sets the mood-elegiac-and calls it a day. Even the rapping of X-Clan’s Brother J on the final cut can’t liven things up. (And please, jazz musicians, enough with the guest rappers.) There’s no reason to name any of the tunes or even Scott’s sidemen. You’ve probably never heard of them, and if this record is any indication, you probably never will.